He’s been sitting on the kitchen cupboard all winter, and I’d grown used to his being there; rather forgotten that he might be eaten. Then last week I did remember. Soup. We need more soup! It was quite a tussle breaking into him, and then I found a quarter of him was more than enough for a big pan of spicy squash and onion concoction with added tub of tomato ‘stock’ from the freezer. The soup did us for two lunches, the first day topped with plain yogurt and rye bread croutons, the next with homemade walnut-parsley-garlic pesto and toast. The rest of the squash has been consigned to the fridge, there awaiting more souping and roasting (perhaps with dates, soy sauce, lime juice and onions). All hearty winter food. But then, the thing is, when I first broke into him after much battling with my largest knife, and the two halves finally fell apart on the counter top, out whooshed the scent of summer. And I was transported, and all without the need for white mice magicked into coach horses by passing fairy godmothers. I was back. Those weeks and weeks of long hot days (with all that hauling of water about the allotment and (not the least of it) tending to his highness). And then I thought, well now, it will soon be time to sow more Crown Princes, seeds kept and dried from a princeling eaten back in December. And finally I thought so this is the essence of things, the cycle of sowing, growing and harvesting, of being nourished and the pleasure of simply being. And that made me feel very happy. It’s amazing how much mileage there is in a pumpkin. Thank you, Crown Prince, for your great beneficence. Next to my excitement in turning over a well-rotted compost heap, comes the joyous anticipation of lifting the first potatoes. Will they have grown well? Will the slugs and other pests have got in there first and had a feast? But no. Here they are – somewhat irregular in shape due to the long, long dry spell with only two or three rain showers to spur them on – lovely Belle de Fontenay. 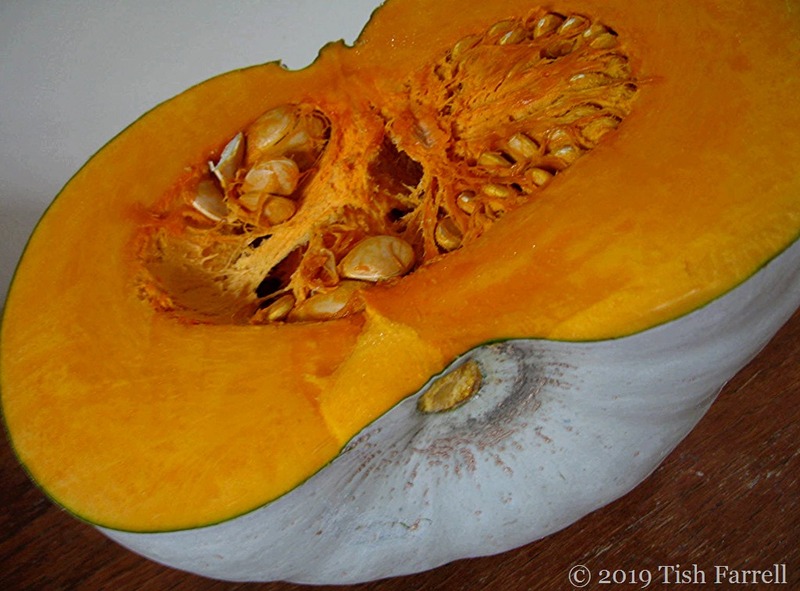 This is an heirloom variety introduced in France in 1885. Pale yellow, firm, waxy – ideal for steaming or boiling, their flavour apparently improving with keeping , although I cannot verify that bit as we generally eat as I dig. And as well as arriving early, these pommes de terre have other obliging qualities. They don’t mind what kind of soil they are grown in, and they seem to love my allotment, which given its unyielding soil, is a huge plus. This year I planted most of the potatoes on the ground I’d covered with several inches of partially rotted compost back in the autumn. I also sprinkled in some biochar and fish, blood and bone meal before planting in April. This was a half and half no-dig enterprise, in as much as the overwintering compost cover saved me from having to dig over the whole plot as I would have done in the past. I didn’t dig trenches either, just a row of holes, one for each potato. The ultimate no-dig method would be to simply bury the spuds by hand in the compost layer, thereafter adding more compost to earth them up. But then that requires an awful lot of compost. Anyway, compromise is everything when it comes to allotment gardening. The spuds in the photo were delicious, steamed and shared last night with good friends from Buffalo, Jack and Kathy, who come each year like swallows to spend the summer in Wenlock. Also on the menu was Chicken Hymettus (recipe below), and also from the allotment, finely sliced greens (Tuscan kale, Swiss chard, beet leaves, Greyhound cabbage), Onward peas, lightly steamed, and served with a walnut and parsley pesto sauce. Prick skin of chicken pieces, place in shallow dish and pour over lime juice and zest. Marinate in the fridge for 1-2 days, turning meat occasionally. When ready to cook, put saffron in a cup and add 4 tablespoons boiling water and leave for 20 mins. Lift chicken from marinade with slotted spoon and fry in butter and oil till golden brown all over. Strain saffron and mix liquid with honey and the remaining marinade. Pour over chicken, add thyme (I actually used Greek oregano), half the mint, and salt and pepper. Cover and simmer very gently for 45 minutes, or until the chicken is tender. Toast the almond flakes and to serve, sprinkle over the dish with the rest of the mint. This recipe works well cooked a day in advance and then reheated. Well I simply couldn’t miss taking part in Yvette’s inaugural Friday food challenge over at Powerhouse Blog. 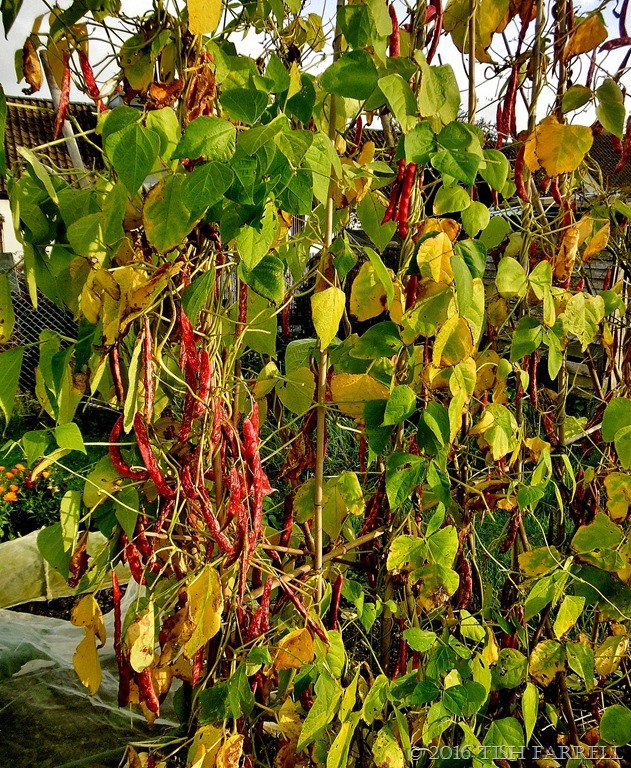 So here you have them, my favourite beans, caught at the allotment in a sunset glow. Not that they need external aids to enhance their beanificent beauty. Not for nothing do the Italians call them: Borlotto Lingua di Fuoco – Fire Tongue. I love everything about them. I love growing them. 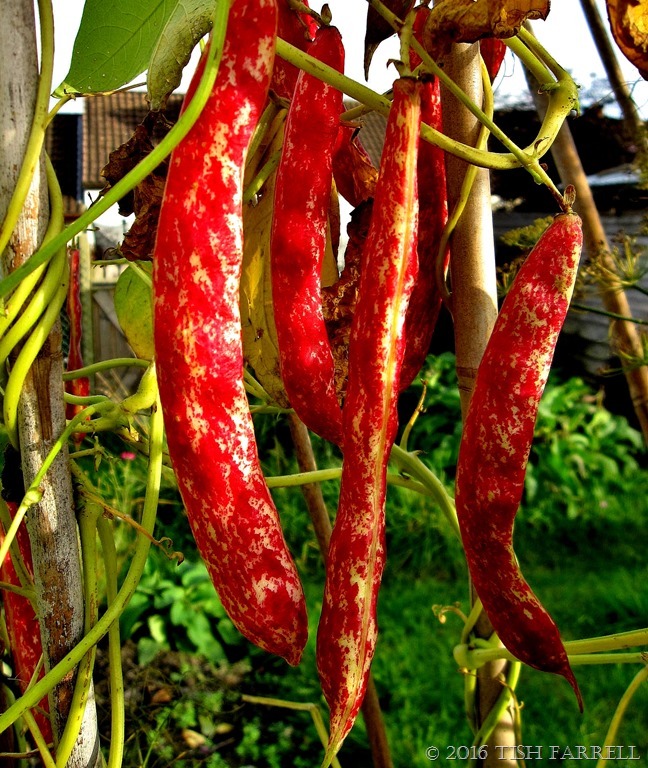 I love the way their pods change colour through the summer – from green to deep claret. Then, as picking time draws near, the leaves turn yellow, and start to fall, revealing hanging rows of glowing pods. But the best bit is shelling them. You never know what colour they will turn out – pea green, cream with pink speckles or claret with creamy streaks. Every bean is different. I usually freeze them freshly podded, or you can dry them. Freezing means they are quick to cook, and you don’t need to do the overnight soaking necessary for dried beans. 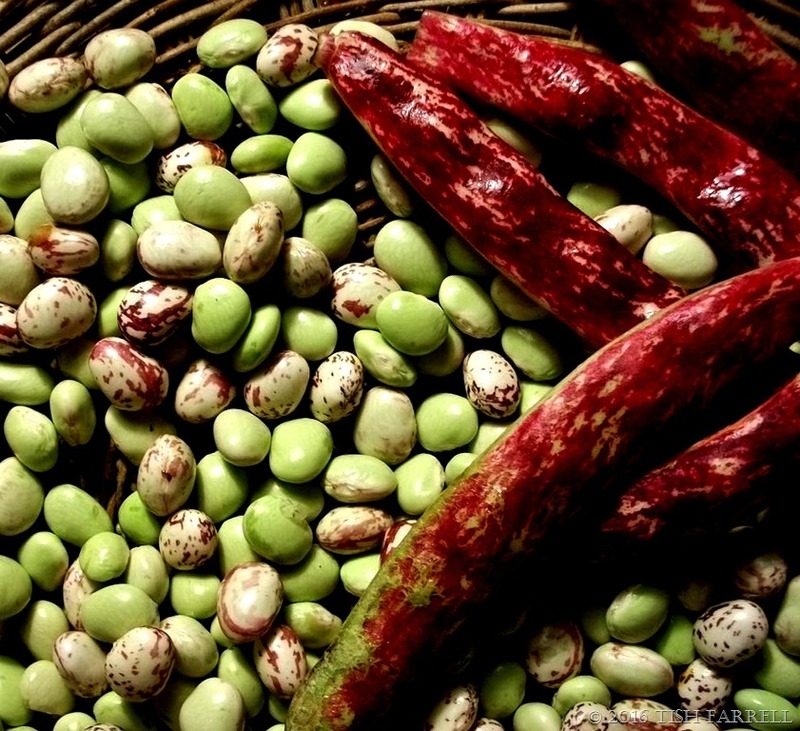 They are highly nutritious, mineral and fibre-rich, and can be used in soups, or to make baked beans. I use them mostly in re-fried bean dishes. This simply involves mashing up a batch of cooked beans with fried onion, garlic, and a few chopped tomatoes, then adding seasoning, chopped parsley or coriander, plus spices of choice (I use chilli and cumin), turning all into a shallow, heatproof dish, topping with cheese, and putting under the grill for 10 or 15 minutes. We eat this by itself with a salad, or as a side dish with just about anything savoury. A poached egg on top would also be good. 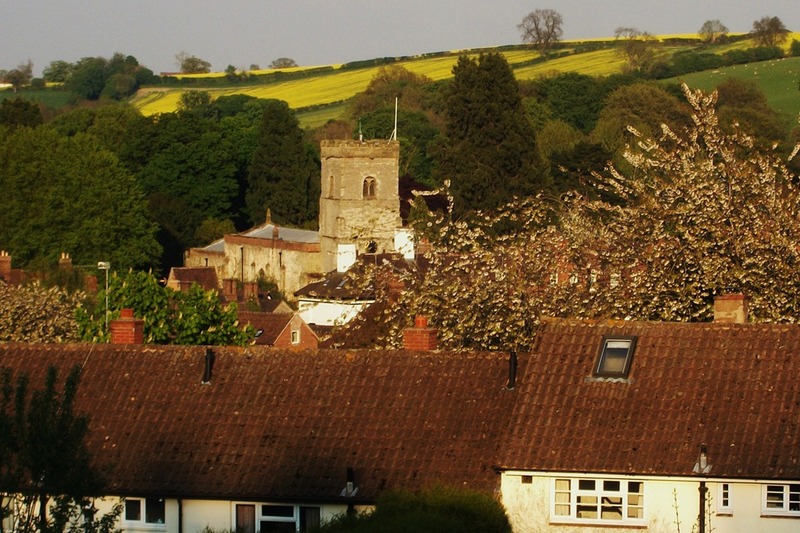 The fat Bramley apples came from the Women’s Institute market, held in Much Wenlock every Thursday morning. The trestle tables are set out in the old Corn Exchange outside the library and are invariably laden with home-baked cakes – Lemon Drizzle, Rich Fruit, Iced Ginger, Millionaire’s Shortbread. Then there are the jams and marmalade. But in recent weeks – this being the season of over-laden fruit trees – there has also been garden produce, and in particular bags of Bramley cooking apples. And what better thing to do with a Bramley than to bake it, stuffed with the last of the allotment raspberries? The raspberries are called Autumn Bliss, and deliciously live up to their name; and especially so when added to apple. The synergy of hot, fruity flavours hits every taste bud with a satisfying zing. This is how I cooked them. With a corer or sharp knife carefully remove the apple middles, making sure all tough core bits are excised. Remove the peel from the upper half of the fruit, then place in a greased oven-proof dish. Stuff the apple centres with raspberries, adding a good teaspoon of runny honey to each apple. I used fair trade wild Zambian honey, which is cold-pressed, and has a rich, slightly smoky flavour. Scatter any spare raspberries over the top. Slather a small nugget of farmhouse butter over each apple. Add half a cup of water to the dish. Bake for around 30 minutes, basting with the juices half way through. Bramleys have a habit of exploding, as mine were about to do, so keep an eye on them. 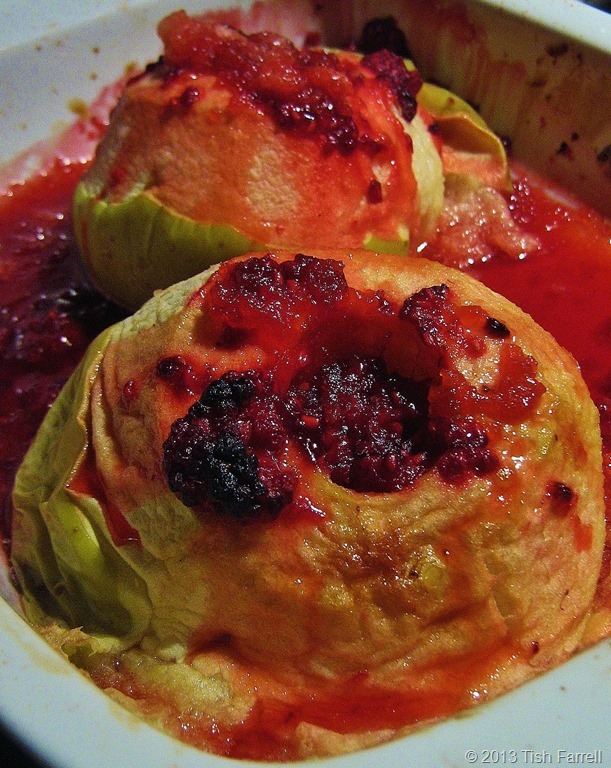 Desert apples can also be baked, though they need longer, slower cooking and must be well basted. The result is not as ‘fluffy’ as a Bramley, and it’s better to remove all the peel. But desert apples often have a more distinctive flavour. Dip them first in in water with a squeeze of lemon to stop them discolouring. A is for Allotment, and here is mine. 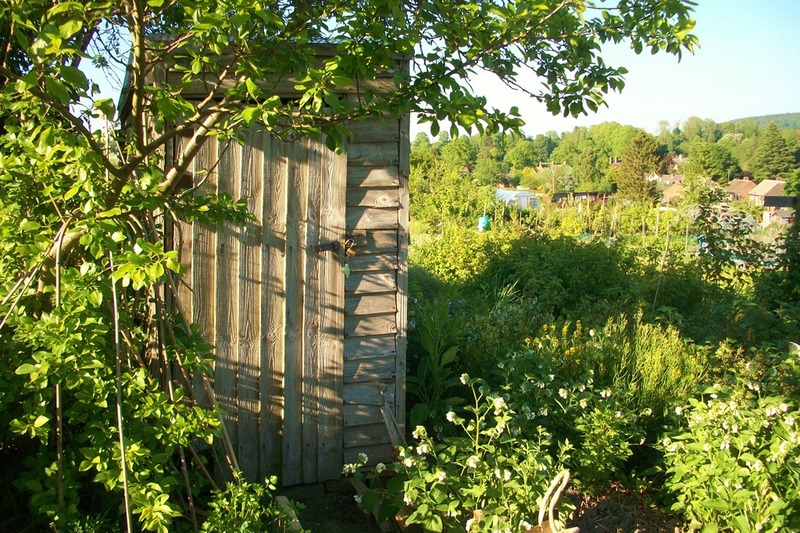 I inherited the shed from previous allotmenteers. It leans and snails roost in it. Last year I found a 1725 halfpenny in front of the door. The Team Leader has to come at regular intervals, armed with hammer and electric screwdriver, to keep the old place upright. He does the same for the tenant – me that is, not the snails. When I’m not writing, this is where you’re most likely to find me, so thank you, Frizz, for your ‘A’ prompt. I’ve been toiling on this plot for around six years now, and when I first started, the soil was as heavy as lead. Gardening on the shores of the Silurian Sea is hard work. In between the layers of soil from a decaying tropical sea (c. 400 million years ago) is bentonite clay. As a substance this may have many useful properties. 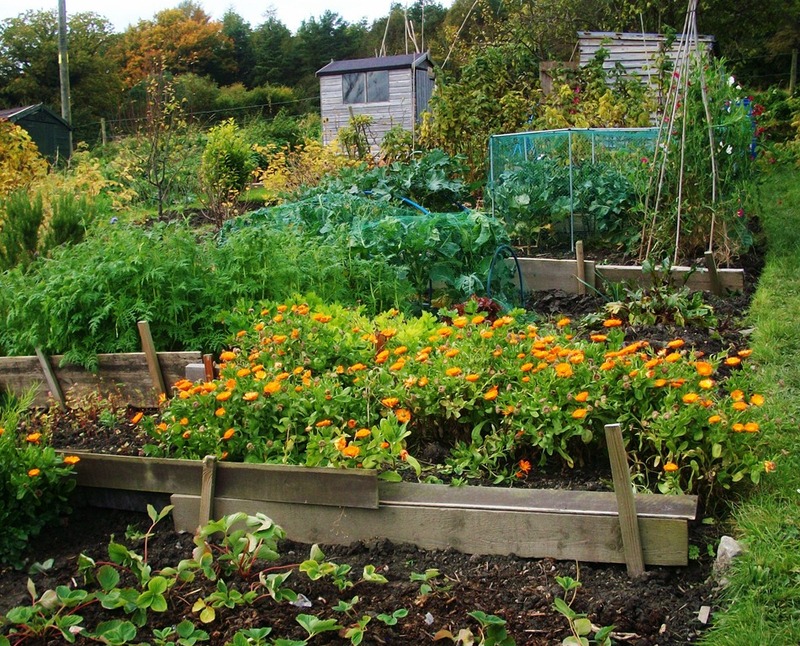 In the allotment, it is a guaranteed pain in the back. When remotely damp, it clings to the bottom of your wellies until you have giant’s feet. In dry weather, it goes crusty and it’s like digging through bricks. I have learned recently that this unappealing greyish clag is formed from volcanic ash. Sometime when Much Wenlock was lying down on the Equator, all those aeons ago as our world was shaping itself, there was a volcanic eruption of unimaginable proportions. I now grow my beans and peas its degraded outpourings. Below are some pickings from last year’s crop, so you can see it does work – with effort. 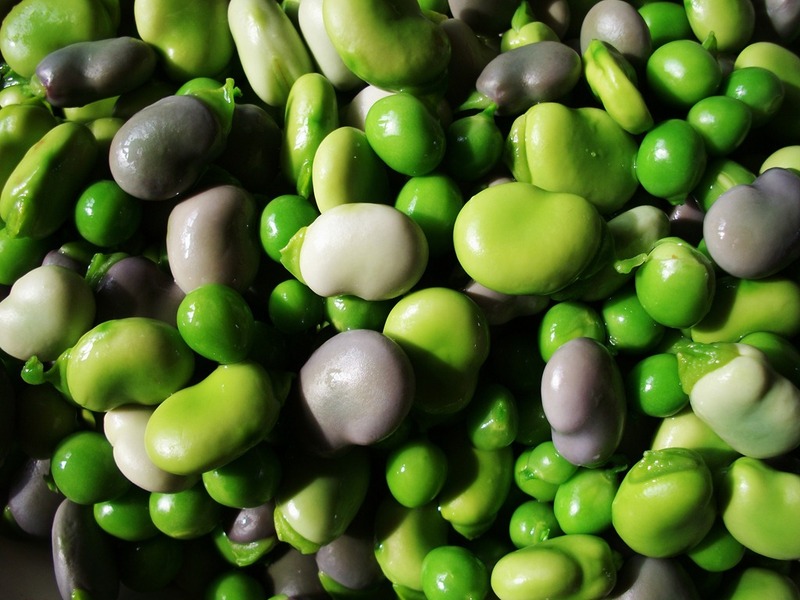 I grow several varieties of broad bean including the lovely rose coloured ones which go pale mauve when lightly steamed. They don’t seem to mind growing in the heavy soil. I’m afraid my plot looks a bit rackety, tidiness being sacrificed to the time needed to dig, weed, and keep the wretched pigeons away. Almost everything has to be netted or covered with enviromesh at some stage during its growing. Recently I have been following ‘Garden of Eve’ and suffering severe poly-tunnel envy. 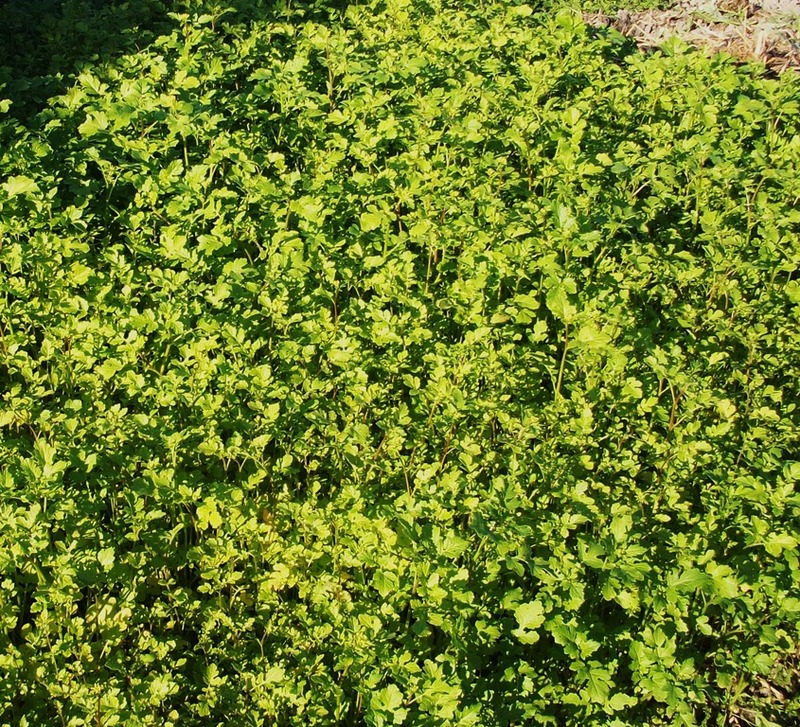 To improve the soil, I grow areas of green manure, in this case mustard, but also phaecelia, buckwheat and alfalfa. It can be sown late summer or early spring and then dug in before it goes to seed. The difference in the soil afterwards is truly remarkable. Comfrey grows itself all over my plot. 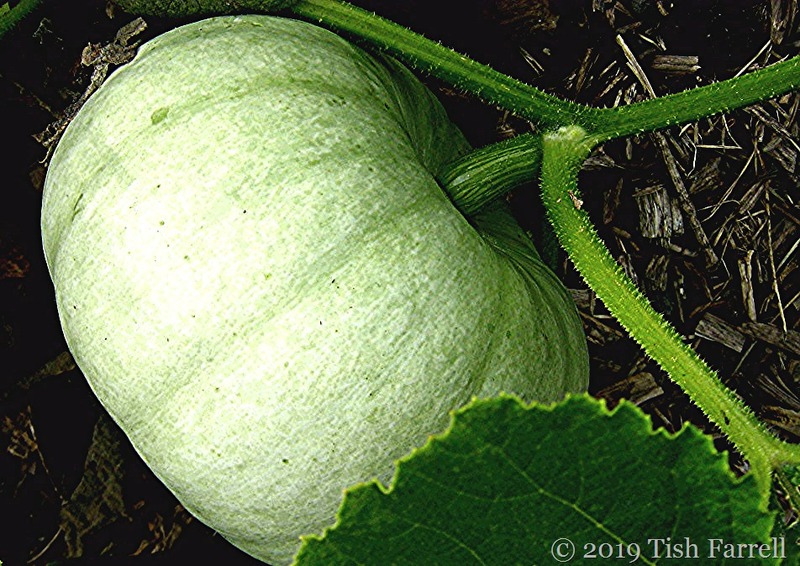 I tear it up and use it to protect seedlings or newly planted young plants. I also fill old compost bags with it, cut the corner off the bags seal up the top with a peg, and balance them over buckets lined up inside my leaning shed. As the leaves rot down the resultant brown gunky liquid collects in the bucket. 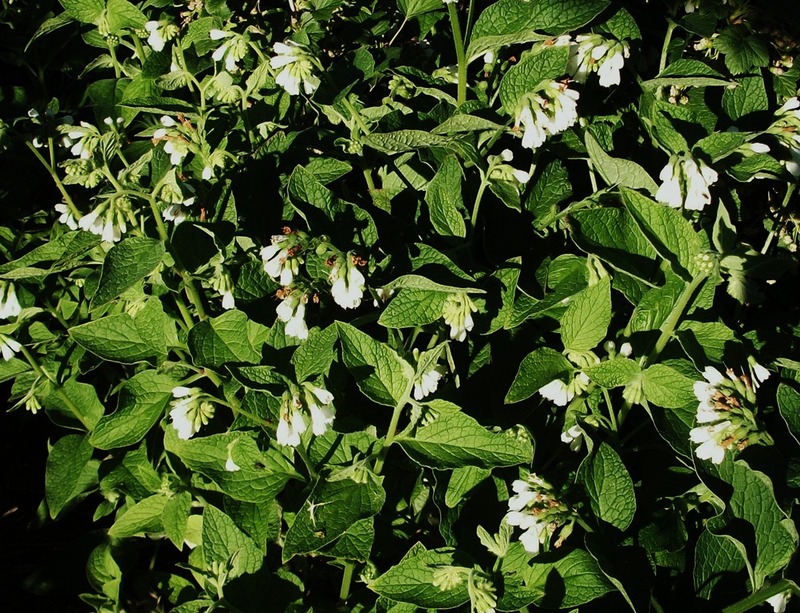 It can then be diluted with water – 15 parts water to 1 part comfrey to make a really good crop feed. Comfrey also has valuable therapeutic properties, and has been used to mend injuries for centuries, hence the folk name ‘knit bone’. The bees like it too. Unlike me, my fellow grower, Phoebe, has a beautifully neat plot. She also kindly mows my path. And that’s one of the wonderful things about allotments, not only can you grow delicious food (pigeons willing) but you meet such lovely, generous and creative souls up there. Phoebe has created these simple baskets across her plots at intervals. 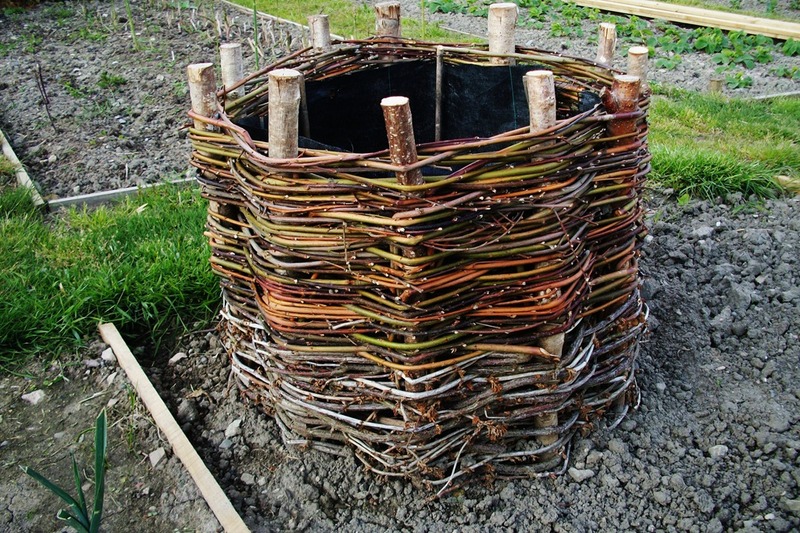 The uprights are embedded directly in the soil and the sides made with dogwood and hazel whips. Her aim is to use them for the rotting down of pernicious weeds like dandelion and couch grass, and then grow marigolds on top while this is all happening underneath. Gardening artistically. 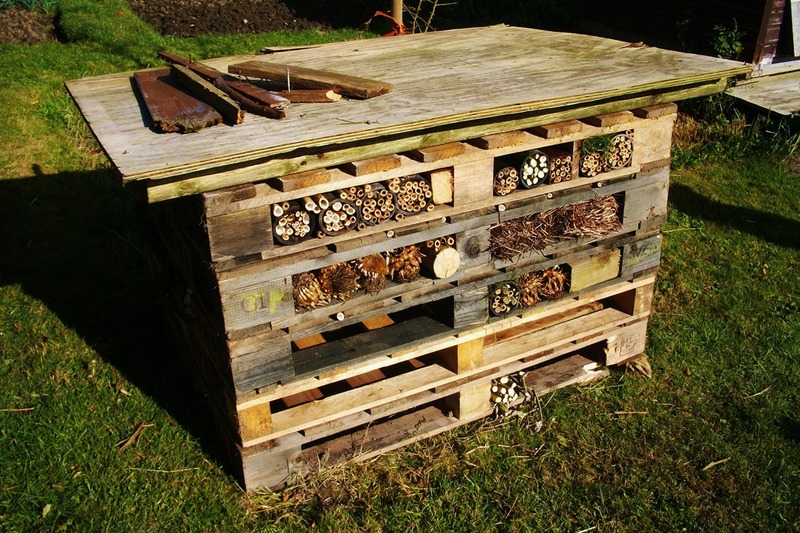 This is the allotment’s insect hotel to provide attractive accommodation for over-wintering insects. Also courtesy of Phoebe who begged some pallets from the local timber merchant. When he knew what they were for, he delivered them free to the allotment. This is the view from my plot. I can hear the clock of Trinity Church chime as I work, and the mewing of honey buzzards over the fields behind. 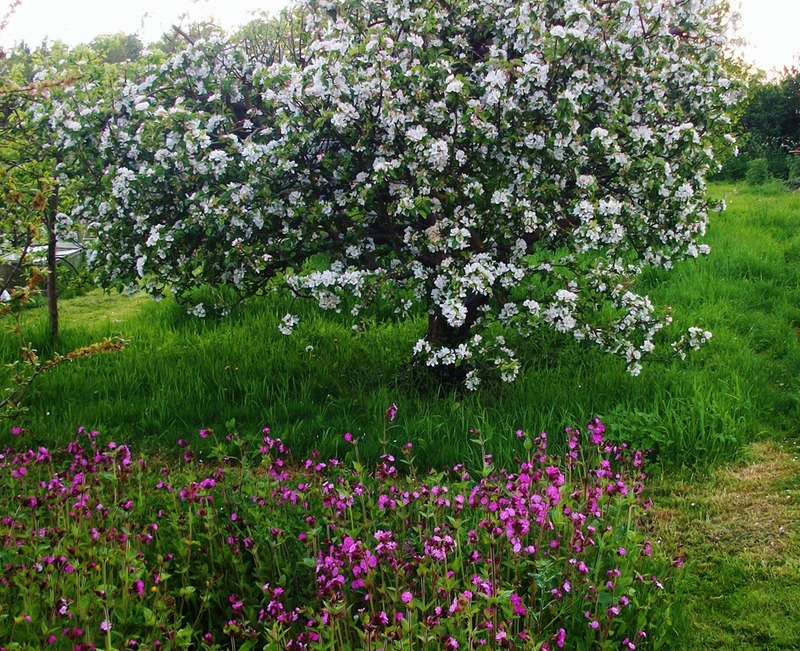 I call this the Garden of Eden tree, also The Tree of Life, because it has gloriously red apples in September. Phoebe created the wild flower garden in the foreground – lots of pink campion this year. 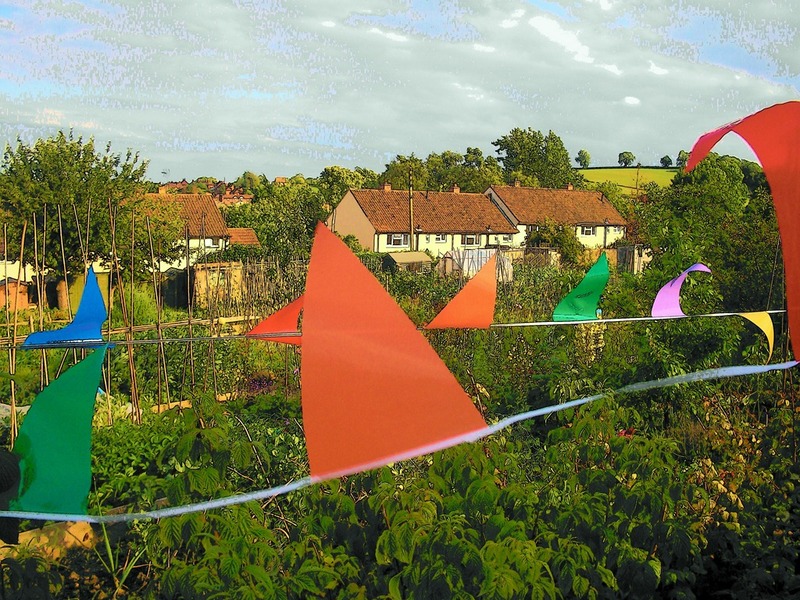 The bunting makes the raspberries look very festive and sees off the birds. 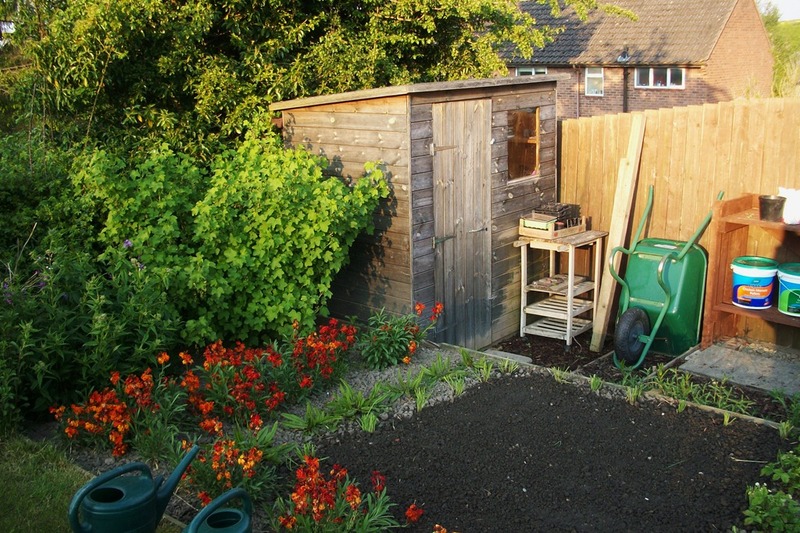 Below are two blogs that are well worth following for lots of useful gardening advice. And when you’ve grown the produce, here are two great cooking blogs. ENJOY!